I sure hope you found yourself a good seat and that your fridge is stocked with ice-cold beverages, because the action out of Whistler, Canada is about to seriously heat up! 14 of the world's best slopestyle riders have gathered at Red Bull Joyride at Crankworx Whistler for the grande finale of the Crankworx FMBA Slopestyle World Championships, and the battle for the podium is as fierce as ever. 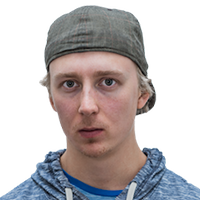 Nicholi Rogatkin (USA) and Brett Rheeder (CAN) look set to continue their battle for top spot, while young German ripper Erik Fedko will be looking to sneak on the podium once again, fueled by his strong performance all season long. 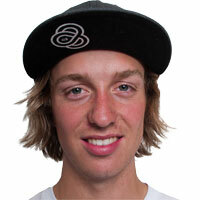 Additionally, Swedish riders Emil Johansson and Max Fredriksson are gearing up for their return into the slopestyle ring. Both riders have worked their way through injury with their sights set on the Whistler showdown. Watch Red Bull Joyride LIVE on Red Bull TV and crankworx.com on Saturday August 18th 4:30 pm PDT / Sunday August 19th 11:30 am NZST / Sunday August 19th 1:30 am CEST or click the player below!